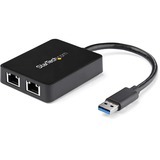 Tripp Lite's U336-002-GBW USB 3.0 to Dual Gigabit Ethernet Adapter allows you to quickly add two Gigabit Ethernet ports to your computer through a single USB 3.0 port - no need to open up your computer case to add an internal Ethernet card. 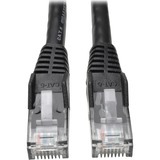 Connect both ports to the same network, or a separate network to each port. 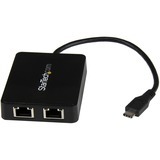 Ideal for network administrators that require dual-homed or multi-homed host systems. 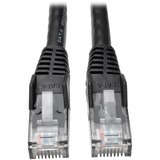 Can also be used as a 2-port network switch; one port connects a computer to a network and a second port shares a network connection with another computer. 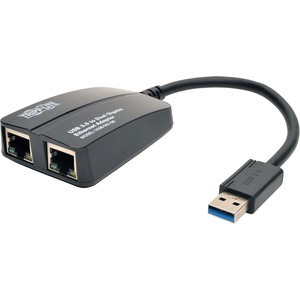 The adapter's compliance with USB 3.0 (5Gbps) ensures true Gigabit network speed without any compromise. Furthermore, the adapter is compact and USB bus-powered, requiring no external power adapter.